I was born at Reading Hospital in Reading, PA. I lived in the Pennside section of Berks County and in 1973 moved to Exeter Township. I graduated from Exeter High School in 1982 and was already on my way to a career in culinary arts. In 1988 I married my lovely wife Stacey. I graduated from Baltimore’s International Culinary College in 1990. In 1991, we moved back to Philadelphia and I worked as the executive chef at The Commissary Restaurant. After leaving the Commissary, I opened up several restaurants for Neiman Marcus, was executive for the Sheraton Plaza at valley Forge and ended up joining Williamson Hospitality in 1998 which was eventually bought by Culnart Inc. I currently work for CulinArt. I have dedicated my culinary career to promoting the connection between local farms and consumers. My focus has been feeding healthy nutritious local farm direct foods to schoolchildren. My ability to build relationships with farmers, consumers, producers and distributors has helped me change the culinary landscape in schools. 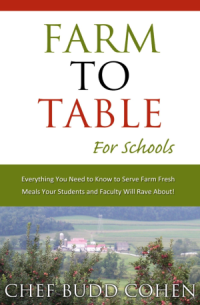 In my book, I use my culinary journey as a teaching point to instruct other chefs, food service directors, administrators and all interested parties about how to alter their culinary journey, rerouting them to the local farm community. Plan and direct all special events. Increase participation by updating menus and implementing successful marketing strategies. Train, develop and supervise a full time staff of 6. Plan and direct all special events including Head of School dinners and cocktail reception, Alumni fundraisers and New Parent dinners. 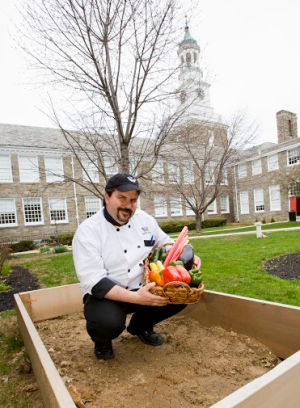 Directly responsible for all food operations of this 800 student private school in Philadelphia. Train, develop and supervise a full time staff of 12. Increased participation by updating menus and implementing successful marketing strategies. Directly responsible for all food service operations serving over 800 associates breakfast and lunch. Designed and implemented new seasonal menus.Hired, trained and supervised a staff of 12.